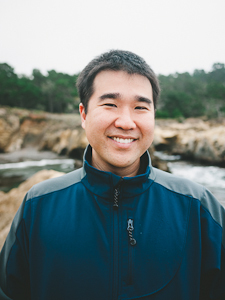 Eric Chi received a PhD degree in statistics from Rice University in 2011 under the direction of David Scott. His PhD studies were funded through a Department of Energy Computational Sciences Graduate Fellowship (DOE CSGF). As part of this fellowship, he completed two research practica at Sandia National Laboratories with Tammy Kolda. After his PhD, he completed postdoctoral positions in the Human Genetics department at UCLA with Ken Lange and the Digital Signal Processing group at Rice University with Rich Baraniuk. Since 2015, he has been an assistant professor in the Statistics Department at North Carolina State University. He received an NSF CAREER award in 2018 and an ORAU Ralph E. Powe Junior Faculty Enhancement Award in 2017. He has served as an Associate Editor of the Journal of Computational and Graphical Statistics since 2016, and has been on the Editorial Board of Statistical Methods in Medical Research since 2011. His current research interests are in statistical learning and numerical optimization, and their application to analyzing large and complicated modern data in biological science and engineering applications. I work with international students through the Global Engagement in Academic Research (GEAR) program at NC State. Please visit the GEAR website for more information. I appreciate your interest but please understand if I am not able to reply to personal emails about summer research opportunities or internships.